Mobile health is a general term for the use of mobile phones and other wireless technology in medical care and has emerged as a sub-segment of eHealth that is used for the practice of medicine and public health supported by mobile devices. It is mostly used for reference in mobile communication devices such as mobile phones, tablet computers and PDAs and wearable devices such as smartwatches for health services, information and data collection. The rising incidence of chronic diseases, increasing the ageing population, advancement in the technology in the form of 3G & 4G networks are the main factors that are boosting the Middle East and Africa mobile health market. 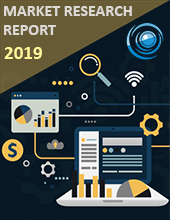 The Middle East and AfricaMobile Health Market size are projected to reach approximately $3.3 billion by the end of 2024 with a CAGR of close to 36.30% during the forecast timeline 2018-2024. The significant factors that propel the growth of the mobile health market are low cost and convenience of medical devices, technological innovations, integration of the wireless technologies, increasing lifestyle diseases and affordability of smartphones and government initiatives. However, lack of technological awareness among the ageing population and lower adoption due to lower accuracy are the factors that restrict the market growth. Device type segments the Middle East and Africa Mobile Health Market that is further segmented into sport & fitness apps and monitoring devices. Monitoring devices are again classified as cardiac monitoring, blood glucose monitoring, neurological monitoring, hemodynamic monitoring, body & temperature monitoring, remote patient monitoring and respiratory monitoring. Among these monitoring devices, remote patient monitoring services segment holds the most significant share in the market due to the increasing adoption of remote monitoring solutions by patients in rural areas and also the technological advancements in medicine and telecommunication. Technology segment is further segmented into Zigbee, Wi-Fi, Z-Wave, RFID, and Ethernet and ends user is classified as home healthcare, hospitals, and clinics. By Geography, the Middle East and Africa are segmented into the Middle East and Africa.